I’ve been doing marathons/halfs/10Ks consistently for seven years now and during that time I’ve run several races multiple times. I’ve completed a septet of LA Marathons. This year I’ll have finished a 6-pack of Peachtree Road Races (since 2009). And last month I collected my fifth consecutive finisher’s medal from the Hollywood Half Marathon. There is something uniquely enjoyable and comforting about running a race you’ve done before. You know the course and are most likely prepared for any race-specific idiosyncrasies. And you also can use a familiar race as a benchmark to see how you’re progressing from year to to year. At the same time, running a race you’ve never run before presents an exciting challenge. You’re not sure what to expect as everything is utterly new to you. The course, the expo, the race support… even the T-shirt and bling… all new experiences. Very cool. Yell it from the Mountain! It’s one of the reasons I always try to add a new race or two to my schedule each year. And I’ve got a new race on my docket for 2016: the REVEL Mt. Charleston Half Marathon coming up this Saturday in Las Vegas. But the 2016 REVEL Mt. Charleston Marathon/Half Marathon is a special kind of new. It’s not just new to me. It’s new to everyone. This is the first time it’s being run, period. Yup, it’s an inaugural race. And I remember being giddy for each of them. Now, some people equate an inaugural race with driving a new car for the first time. It’s got that “new car smell” and you’re still trying to figure exactly how everything works. What do all of those cools switches do? How do you pick your radio presets? How many cup holders does this thing actually have? Others like to think of an inaugural race as the marathon equivalent to a “beta test.” Cool, but clearly with bugs/shortcomings that need to be worked out. If you’ve ever bought a first year model car, you know they are inevitably going to have a recall or two (or three). And if you’re bold enough to buy a first generation tech product (I’m talking to you early adopter Apple watch wearers) you know that it can take version 2.0 (or 3.0 or 4.0) before things finally work properly. First year races often have a sizable hiccup that needs to be de-hiccupped for year two. As for me, I like to think of an inaugural race as a kind of blind date. Nervous energy brimming with cautious optimism. It’s all about discovery. Seeing what the date/race has to offer and more importantly… if you click. A few speed bumps might pop up, but you go with the flow and enjoy the experience for better or worse, hoping no deal-breakers rear their ugly heads. And at the end of date/race you get to decide if you want to go out again. A scenic and FAST downhill course (USATF certified, if you’re wondering). Free race photos and a free personalized race video. Good food at the finish line (other REVEL races have had things like pizza and apple pie). Great transfer, defer and cancelation policy. And it’s right by Las Vegas. So… Vegas. 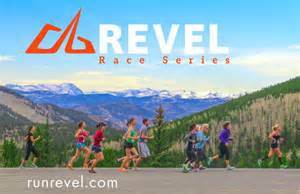 *Racers who complete 3 0f the 4 races in the REVEL 2016 season (Mt. Charleston, Rockies, Big Cottonwood, Canyon City) get an extra piece o’ bling. You can check out the REVEL Mt. Charleston race (and the rest o’ the REVEL races) here. So on Saturday morning me and several thousand runners have a “speed-date” scheduled with a mountain. I’ll be sure to put on my finest running garb and be on my best behavior. I hope the mountain digs goofy (and sweaty) guys with calf sleeves. If so, I’m golden. Posted on May 2, 2016, in General and tagged REVEL Mt. Charleston, Run REVEL. Bookmark the permalink. Comments Off on BRAND SPANKING NEW (RACE)….